Many of the world's most famous comedians have made their livings entertaining people all over the world with their unusual public personas or performances. A few of them are even more unusual behind the scenes. Some of the funny people on this list are no longer alive but, along with their still-breathing cohorts, they earned attention for some really strange behavior throughout their lives. Some of them believe in ghosts and one even claimed she shared an apartment with a pesky spirit for several years. Others have odd spiritual beliefs or merely love to ride children's bikes through Walmarts when they're not sneaking away from international press tours to run off to Prague in the middle of the night. Then there's a certain star of an HBO show that likes to eat baby food, talks to her dead relatives before she goes to bed, and has some really weird habits when it comes to clothing. So here's a rundown on her and nine other comedians that are (or were) pretty dang weird. 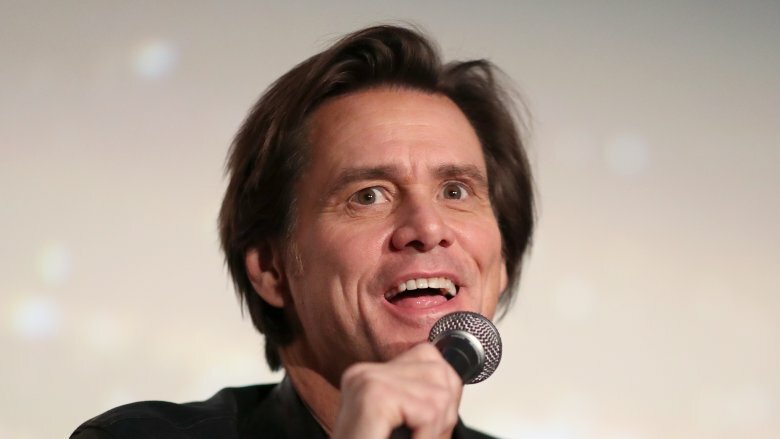 Carrey was one of the biggest film stars of the 1990s. He earned countless laughs for his unhinged physical humor in movies like Ace Ventura: Pet Detective and Batman Forever. But his on-screen wackiness steadily turned into some less hilarious strangeness off screen toward the end of the decade. He told Oprah Winfrey during an interview in 1997 that he believes in "the law of visualization." He even credited it for his success. Carrey famously post-dated a check for $10 million to himself and considered it paid when he received that same amount for his role in Dumb and Dumber. During the filming of the 1999 biopic Man on the Moon about the even more eccentric comedian Andy Kaufman, Carrey constantly stayed in character. He tormented not just his own cast and crew but the staff at Steven Spielberg's production office, too. In the months and years that followed, Carey has confessed that he's big into transcendental meditation and revealed himself to be an outspoken anti-vaxxer (though he says he's merely "anti-neurotoxin"). Then he showed up at 2017's New York Fashion Week to, apparently, question the nature of reality itself. "I don't believe in personalities," he told a baffled reporter from E! News. "I don't believe that you exist, but there is a wonderful fragrance in the air." His explanation for the bizarre incident seemed to be that he was studying for a role … maybe. A Ghostbuster not just on the silver screen? The man who wrote and starred in films about gigantic marshmallow monsters and seemingly magical police cars is, unsurprisingly, truly one-of-a-kind. 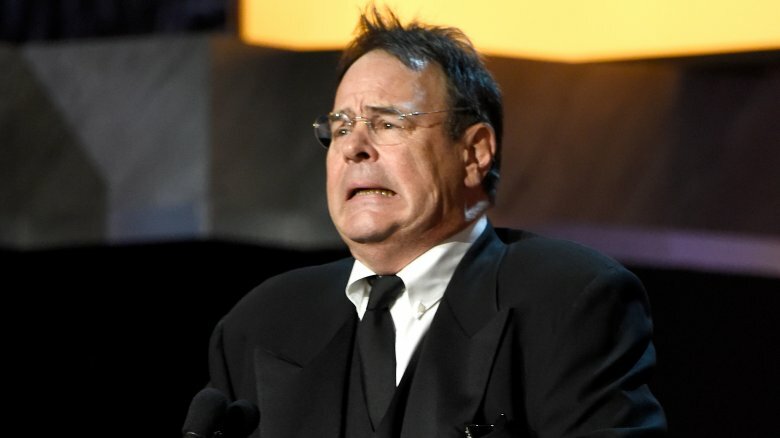 Dan Aykroyd was born with webbed toes and says he grew up in a haunted farmhouse. He collects police badges and once told a reporter that he was married to a nonexistent woman named Maureen Lewis and they had three children (also nonexistent). He's also really into UFOs. Like, really, really into UFOs and the paranormal in general. When a reporter from The Guardian asked him in 2003 if he believed in ghosts he said, "Hell, yeah. Absolutely. Don't you?" The Conehead also teamed up with author and UFOlogist David Sereda in 2005 for a documentary titled Dan Aykroyd Unplugged on UFOs. It features archival footage and interviews with everyone from former president Ronald Reagan to astronaut Gordon Cooper to explore the possibility that aliens exist. He also claims that the "Men in Black" monitored a phone call between him and Britney Spears. Aykroyd played her father in a dramedy called Crossroads in 2002. During the conversation, he says they were spying on him. Then, when he looked back, they'd skedaddled. Still not convinced Dan Aykroyd is a bit strange? Well, he also co-wrote, directed, and starred in the incredibly weird and reviled 1991 comedy Nothing But Trouble. Check out the trailer above. 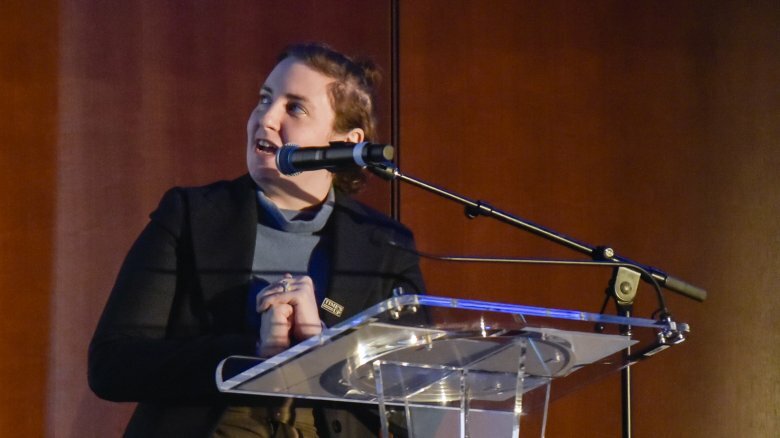 Lena Dunham, the creator and star of the hit HBO series Girls, also has a fascination with things that go bump in the night. She shared an excerpt from her book, Not That Kind of Girl, with The Guardian in 2014, writing that she's been "obsessed with death since I was born." Among the other revelations from the excerpt: She also wrote but never appeared in a short film about witnessing her own funeral. After eavesdropping on everyone in attendance from the casket, she would have popped out and yelled "Surprise!" Dunham also told Us Weekly in 2016 that she speaks with her dead relatives before she goes to sleep at night. She finds it "soothing." Dunham has become increasingly known for her eccentric behavior in recent years. She also likes to eat baby food, gives away outfits if "something bad happens" while she's wearing them, and often overshares personal stories on the internet. One involves Lamby, a dog she rescued from a shelter that developed a nasty biting habit. After it bit her on her rear end, she posted photos of the injury on Instagram. What are boundaries, anyway? It's like something out of his 1993 comedy Groundhog Day. 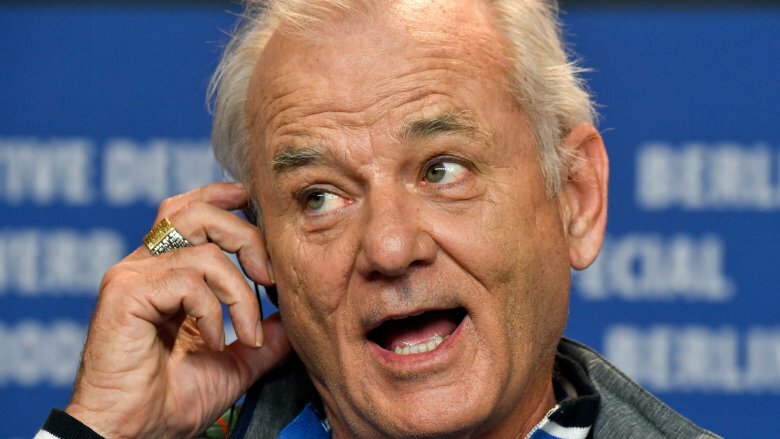 Bill Murray keeps doing weird and wonderful things. It seems like everybody's got a "Bill Murray story" these days, even diplomats. Just ask Sherry Keneson-Hall. She was working at the U.S. embassy in Prague in 2014 when she received an unusual request. Murray had just arrived. Even though it was after midnight, he was hoping someone would take him on a nighttime tour through the city. Keneson-Hall agreed, and their evening together made headlines around the world. As he later explained on BBC's The Graham Norton Show, he randomly decided to skip out on dinner in Berlin with his co-stars while doing a promotional tour for Monuments Men to visit Prague even though it was a five-hour train ride away. The reason, as he put it: "I'd never been there before." Murray even managed to make it back to Berlin in time for a press conference the following morning. His crazy adventures don't end there. Murray has ridden children's bikes through Walmarts more than once, crashed bachelor parties, and even done the dishes for Norwegians living in Scotland. The beloved comedian gets into so many shenanigans that entire websites have cropped up for them. He also loves a good photobomb and could be standing behind you the next time you take a selfie. Check your photos when you get home! 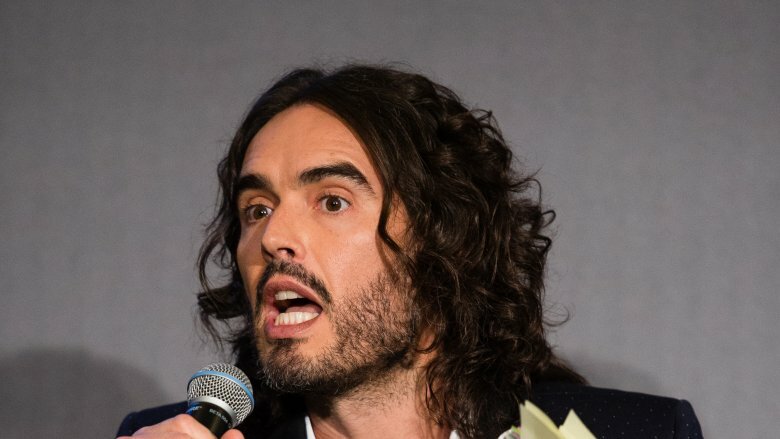 Outspoken British comedian Russell Brand often lands himself in hot water. It's typically due to his incredibly frank opinions and sense of humor, which don't always go over well with pretty much anyone around him. In the early days of his career, Brand showed up to work at MTV while dressed as Osama bin Laden. That's a questionable choice on a good day now, but he did it the day after 9/11. Brand was also thrown out of the GQ Awards afterparty in 2013. While receiving an award, he decided it was the perfect opportunity to point out that sponsor Hugo Boss had designed uniforms for the Nazis. "They did look f*cking fantastic, let's face it," he said before goose-stepping across the stage. His 2014 book Revolution received large amounts of criticism in Britain for, among other things, his take on Queen Elizabeth. "A little old lady in a shiny hat –- that we paid for," was how Russell described her. His other seemingly never-ending gaffes include calling students at Cambridge University "Harry Potter poofs" in front of an audience of 800 people and declaring former U.S. president George W. Bush a "retarded cowboy fella" at the 2008 MTV Music Video Awards. Oh, and there's also the time Rod Stewart yelled at him in the middle of the 2006 GQ Man of the Year Awards. The legendary singer was apparently furious that Brand had claimed he'd "had a little go" at his daughter. 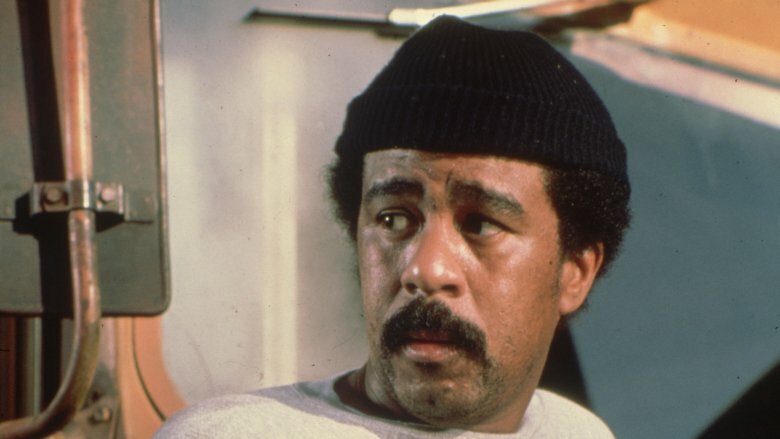 Richard Pryor rarely shied away from discussing his strange personal life during his incredibly popular stand-up shows, even its darkest moments. Sadly, one of them became a punchline that haunted him during the final years of his life. He did something truly terrible during a drug binge that had kept him awake for five days straight in the winter of 1980. According to a 2015 article in the New Yorker, Pryor watched a television show that included footage of a Buddhist monk setting himself on fire. That's when he poured a bottle of liquor over his head and set himself aflame with a cigarette lighter. His family tried to extinguish the blaze, but he ran out of the house. Authorities finally managed to get him into an ambulance after he'd walked a mile and took him to the burn ward at a hospital. The incident fueled all sorts of cruel jokes, including one in the 1988 comedy Scrooged. Pryor's other unusual behavior included walking away from a successful career as a light-hearted comic after reportedly spotting Rat Pack crooner Dean Martin in the audience at one of his gigs in Las Vegas. He recreated himself as an edgier comedian, which fueled an even more successful career … and lots of rumors about his sexuality. In a 2018 article for The Guardian, Pryor's widow confirmed that he and the famously eccentric actor Marlon Brando were lovers in the '70s. Jackie Gleason was one of the most famous comedians of his era. 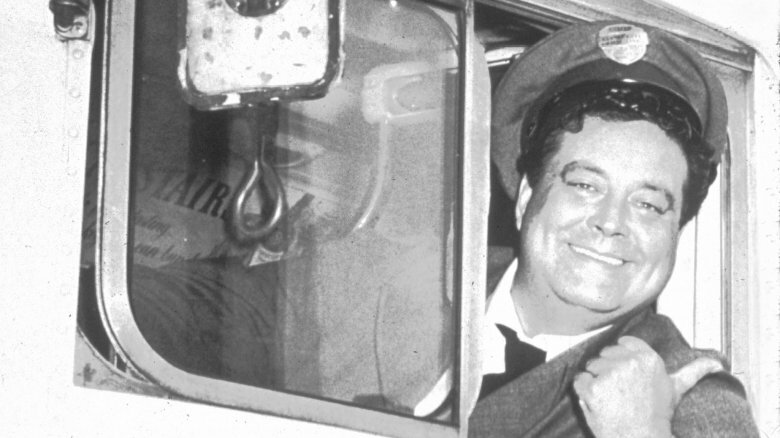 He became a legend while starring in The Honeymooners, one of the first popular sitcoms on American television. He was also afraid of flying and had a photographic memory. His immensely successful career in television, film, and even music also helped fund an unusual lifestyle behind the scenes. He lived in a custom-made house that was futuristic and circular, not unlike a UFO. This may have had something to do with an interest in aliens and the paranormal that rivals Dan Aykroyd's. Gleason assembled a large library of books — about everything from extraterrestrials to witches — that was later donated to the University of Miami. He also often appeared as a guest on an overnight radio show hosted by John Nebel that featured paranormal topics. His odd hobby eventually caught the eye of his golfing buddy, Richard Nixon. If Gleason's ex-wife is to be believed, the former president took him on a tour of Homestead Air Force Base in Florida. According to a 2015 New York Post article, she once told an Esquire reporter that it included a stop in a top-secret hangar that housed the corpses of actual space aliens and their crashed UFO. One minute you see Chris Tucker, the next you don't! 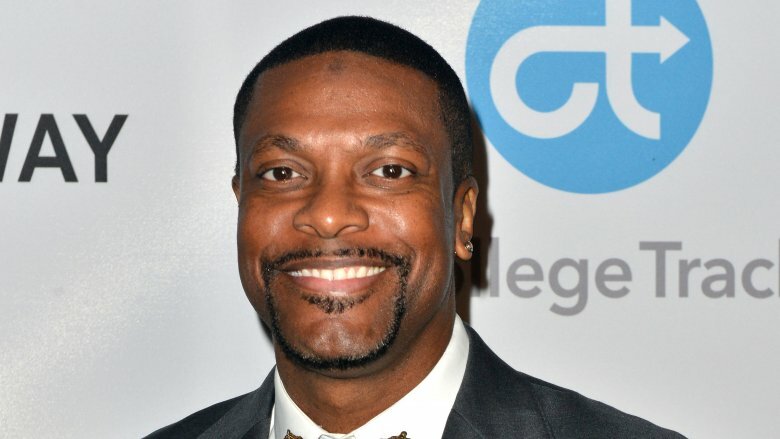 The Rush Hour trilogy made Chris Tucker one of the world's most famous comedians. Following a six-year hiatus from films he came back for Rush Hour 3, then sort of disappeared in 2007. His peculiar vanishing act made many of his fans wonder what happened. It may have had to do with several different things. Tucker became a born-again Christian in the late 1990s. He may have decided against roles in adult-oriented films like Lethal Weapon 4 and Any Given Sunday. It also may have been why he didn't appear in the sequels to his 1995 hit comedy Friday. His newfound faith obviously didn't stop him from starring in the tamer Rush Hour movies. Simply not needing to work and earn money could have contributed to his reluctance to regularly appear in films throughout the late 2000s and well into the 2010s. However, Tucker did reportedly run into some problems with the IRS in 2014. On top of all that, he apparently wasn't too happy with the roles being offered to him. In 2015, he told the LA Times, "I want to do something that excites me, that is different and fun." Despite not appearing in many films over the past decade and change, that doesn't mean Tucker has just been sitting around. He's done a lot of charity work. According to Newsweek, Jackie Chan has also been nagging him to agree to participate in Rush Hour 4. 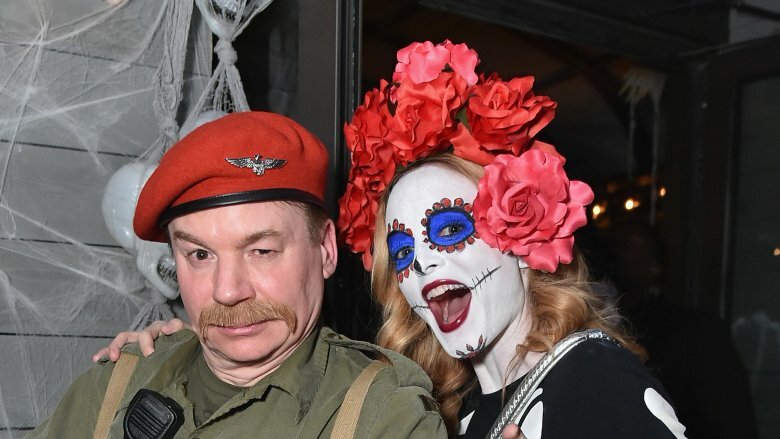 Mike Myers was once one of the world's most beloved comedians. Many couldn't stop quoting the characters he played on Saturday Night Live, and 1992's Wayne's World was a blockbuster. Along with starring in the even-more-quoted Austin Powers films, Myers also took over as the voice of Shrek after his SNL cohort Chris Farley passed away in 1997. While audiences often love his performances, those who have worked with him say he's insufferable. As revealed by The Guardian, Myers abruptly insisted that Shrek have a Scottish accent well into the production of the first film, costing the studio around $4 million. Then in 2000 he bailed on a film based on Dieter, another popular character from his SNL days. Despite being best friends on screen, Myers has never really gotten along with his Wayne's World co-star Dana Carvey. He also allegedly prevented the first film's director from filming the sequel because he didn't like how she edited it. Actress Amy Hill called him a diva and said he was hand-fed chocolate by an assistant on the set of The Cat in the Hat in an interview with AV Club. After a long hiatus from films, Myers strangely returned for a rehash of (of all things) The Gong Show in 2017 and pretended he was actually its fictional host, an aging British comedian named Tommy Maitland. Can we talk about Joan Rivers' ghostly problems? 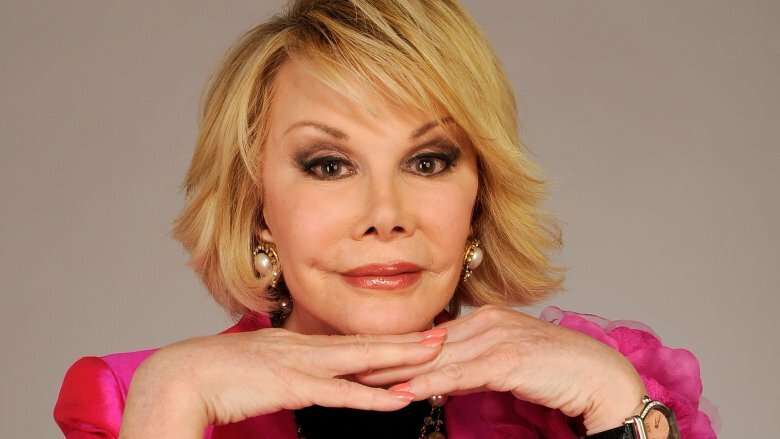 The late Joan Rivers never tried to hide her obsession with plastic surgery. She often joked about it, even telling CNN's Anderson Cooper in 2004 that she'd had as many as 739 surgeries. Some thought she was being serious but she later said it was just a gag. The real number may never be revealed. Even more unusual is Rivers' claims to Page Six in 2014 that she was pestered by spirits from beyond the grave. Once while on vacation with her grandson, Cooper (not to be confused with the reporter), she was repeatedly attacked by a ghost. "Then, my closet moved toward me," she said. "Running out, I got Cooper to stay overnight with me. Terrified, I stayed awake all night." Rivers claimed it happened again the following night. Rivers also had a spooky situation on her hands when she moved into a new apartment in New York back in the 1980s. As she confessed during a 2009 episode of Celebrity Ghost Stories, it too was haunted. Rivers said she was tormented by a ghost named "Mrs. Spencer" who broke things, scared her dog, and often messed around with the heating. Even hiring a voodoo priestess to "clean" the apartment didn't work. Rivers' problems with Mrs. Spencer continued until she found a painting of her in the basement and hung it in the apartment's ballroom. The ghost calmed down after that.